Rogelio Guedea (Mexico, 1974) is the author of more than forty books of poetry, essays, narrative, interviews and translations. Publications of his work in English translation include: Free fall (2009), and the novel The Brothers Corona (2014). His poetry collection Kora was awarded the prestigious Spanish Premio Adonáis in 2008. Exilio, a selection of poems from six collections appeared in 2011. His most recent novel, El crimen de Los Tepames, was a bestseller in Mexico. 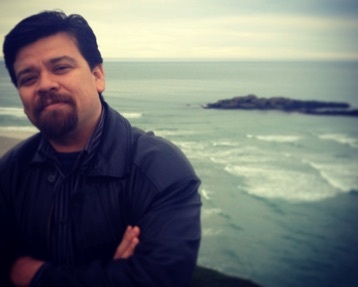 He is a columnist for several Mexican newspapers and is coordinator of the Spanish Programme at the University of Otago, Dunedin, New Zealand. Roger Hickin is a New Zealand translator, poet and visual artist. 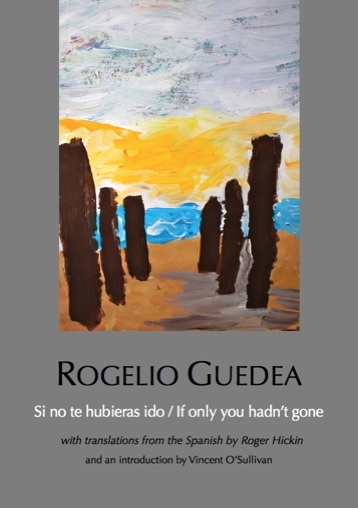 Si no te hubieras ido / If only you hadn’t gone is a poignant and humorous series of poems exploring the mental state and post-separation daily life of an obsessive-compulsive writer, as he addresses his absent partner. si ya no te tengo. it’s no use to me.